"At Sphere we believe in the value of long-term relationships, and have shown this in our current relationships with our portfolio companies. We will continue to look for those kinds of partnerships going forward." Itumeleng is the co-founder and CEO of Sphere and holds board positions in a number of companies in which Sphere has invested, including Babcock Ntuthuko Engineering, Babcock Plant Services, BBD, Pandrol SA, Honeywell Automation and Control Solutions and Pearson South Africa. Itumeleng brings significant experience in investment banking to Sphere, accumulated in London and Johannesburg. His skills were honed during his vice presidency of Citigroup’s investment banking division, and through the positions he held at Merrill Lynch and Deutsche Bank. He has also advised the South African government and several local and international companies on mergers and acquisitions, and capital raising projects. In addition to his role at Sphere, Itumeleng is an independent Non-Executive Director on the board of Old Mutual Limited. 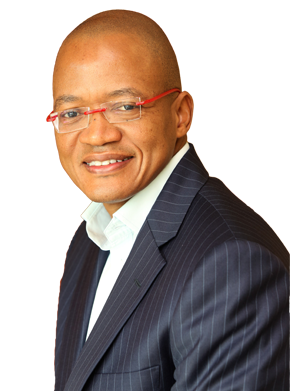 He has previously served on the board of Telkom (2011 – August 2018). Itumeleng is passionate about education and serves as Chairman of the Board of Trustees of the Student Sponsorship Programme, a non government organisation which provides learners from low income households with mentorship and funding to attend some of the best high schools in South Africa. He has also served as a board member of the African Leadership Academy, an elite secondary institution dedicated to 16 to 19 year olds from Africa and the rest of the world, with alumni from 45 countries. Itumeleng graduated with a Bachelor of Commerce degree and Post Graduate Diploma in Accounting from the University of Cape Town. He qualified as a CA (SA) after serving his articles with PriceWaterhouseCoopers.